RedFox, 15 Dec 2010In Croatia we get 3 back covers (white, silver and pink), car charger, 4GB sdhc card, headphon... moreI get the X8, blue cover, 2GB memory, charger-usb data cable, HPM-60JS GreenHeart for about US$233. I'm in Indonesia. Pls turn off the data traffic when using.. My bill for my data usage came up to SGD$300 where normally suppose to be about just SGD$30. Somehow i think the phone downloads by itself without my knowledge. doesnt have auto focus,flash,and partically having bluetooth problem! i think better to buy a x10! In Croatia we get 3 back covers (white, silver and pink), car charger, 4GB sdhc card, headphones. I like the convenience of the usb cable. I just updated to Android 2.1 yesterday and it is working great. If anyone have problem with phonebook after update and backup, press the 4-squares button and play with "view contacts" options, it will fix your phonebook entries. Overall, this is great phone for that price (I bought mine new in the store for ~$180), and if something happens to it, i would buy it again! "Limited storage for installing third-party apps Outdated Android OS version No multi-touch support Camera lacks autofocus No DivX video support out of the box microSD slot under the battery cover No secondary video- call camera"
Hey...! I'm being confuse here, how was about "what you paid is what you get" ? i think SE try to give an affordable Android Phone for those who can't afford to have an Android phone like Apple or Samsung cause its pretty expensive. And as a "Outdated Android OS version" or why "Donut" ? X8 to learn about Android Technology. 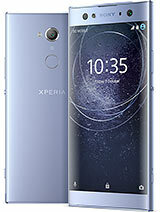 As for me, i would love to have it, it's a cool phone with a low price, but i don't need that kind of phone, at least not yet. Can someone please tell me whether this phone can be upgraded to Android 2.2? just my hperia x8 and my country in the T-Mobile to steal back cover !!!!!!!!! any one who knows the retail price?im surveying n need suggestion..
Can you go on facebook with the sony ericsson x8? If u cant is there an app that u can download? I live here in Baguio, i bought it from Tiongsan Bazaar, i think they are direct sale/distributor that's why prices of their phones are cheaper than other phone shop here.